In honour of Rosacea Awareness Month 2019 this April, I’ll look at what the skin disorder is and share helpful guidance on how to live with it. Rosacea affects 1 in 10 people and each year approximately 1 in every 600 people in the UK are diagnosed. Rosacea is an inflammatory skin condition where the blood vessels on the face are enlarged, causing the cheeks and nose to look flushed. Symptoms include facial flushing, permanent facial redness, broken capillaries on the face, small visible blood vessels (telangiectasia), spots (papules and pustules) and burning and stinging sensations. Rosacea occurs in men and women and although it’s most common for people with fair skin, people of Asian and African origin are also affected. 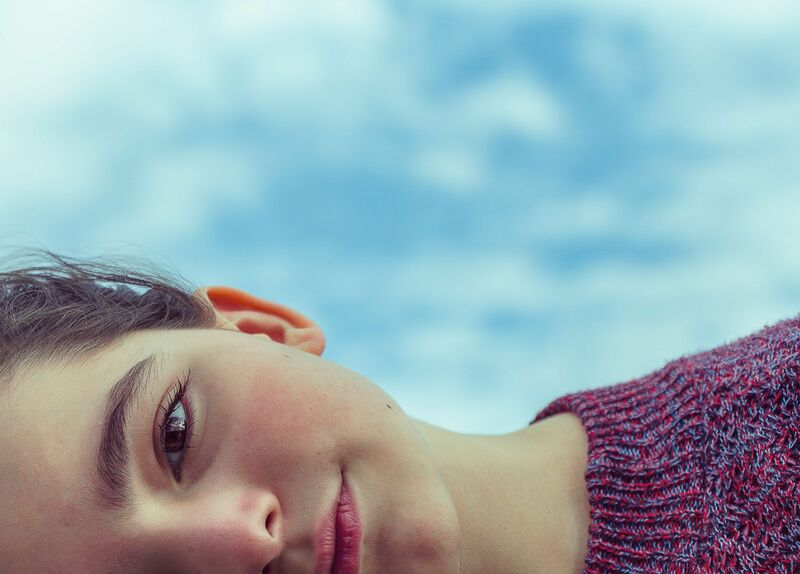 Many people are diagnosed around the age of 30. 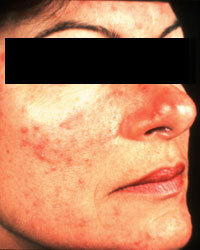 Although there’s no cure, symptoms can be managed with skin care products specifically for rosacea. It’s important to maintain a skin care routine that works for your rosacea to soothe and calm irritated skin. According to Dr Anjali Mahto, the biggest rosacea culprit is exposure to the sun. 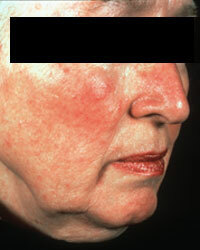 Sun exposure can affect the skin in 80% of rosacea sufferers. Therefore, it’s vital to protect skin with a high factor sunscreen and wear a UPF50+ hat. Tinted sun cream can also help even out facial redness and if you’re looking for another way to protect yourself from the sun, why not buy a UPF50+ umbrella to shield your face? In addition, laser therapy treatment on affected areas can reduce broken capillaries and facial flushing in rosacea-prone skin types. Certain medication can also help rosacea but if you’d like a more natural approach, a change in diet is a great way to tackle rosacea. Korean beauty prioritises skin care issues rather than covering the face with heavy make up. Using skin care with soothing ingredients like aloe vera, camomile, green tea and niacinamide are highly recommended. Niacinamide is well-known for its brightening properties so using a sheet mask with niacinamide in it is a good way to reduce facial redness. Try products with a green tint to them to neutralise redness across the face, such as the Neogen Joan Kim Vita Duo Day Cream. Blood tests like the ELISA test are also available if you’re concerned about whether or not you may have a food intolerance. He recommends avoiding ‘hot spices’ like white and black pepper, paprika, red pepper and cayenne pepper, which can trigger inflammation. Dr Murad suggests using thyme, ginger and turmeric to add extra flavour to your meals instead. Don’t forget to check out my top 10 beauty products for rosacea on the blog! 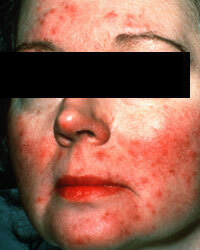 The patient photographsare courtesy of The National Rosacea Society and copyright to The National Rosacea Society. All rights reserved. Main photo courtesy of Zulmaury Saavedra on Unsplash. Disclaimer: Although I am highly interested in healthcare, herbal remedies and nutrition, I am not a trained doctor or nutritionist. Please consult your dermatologist or doctor for further help and advice.